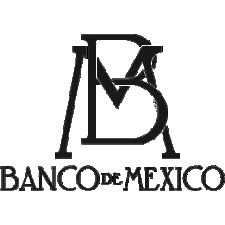 The Bank of Mexico (Banco de Mexico or Banxico, for short) is Mexico’s central bank, founded in 1925, and responsible for providing the country’s currency and monetary policy. But its mint, La Casa de Moneda de Mexico, has a much older (one may even say ancient) history, that stretches back to the 16th Century. After the Spanish Conquest of the Aztec Empire in 1521, the Europeans claimed a large part of the Western Hemisphere from Panama in the south through Central America and Mexico into what is now the United States, west of the Mississippi. It was known as New Spain and its capital was Mexico City. Antonio de Mendoza arrived in 1535 as the territory’s Viceroy, with a charter from the King of Spain to establish the first mint in the New World, undoubtedly due to the discovery that the new lands were extremely rich in precious metals. The mint turned out its first pieces in April of 1536, hammered out by hand and inscribed with the names of Queen Juana and her son Charles I. From these beginnings, La Casa de Moneda has minted gold and silver coins as Mexico’s currency and for many other world nations over the five succeeding centuries. These countries over the years include the USA, England, Canada, Germany, Switzerland, Portugal, Sweden, Morocco and many others. The very history of modern minting has its home in Mexico. For the past 100 years, the Mexican Mint has produced commemorative and bullion coins in gold and silver. These include beautiful pieces that have paid tribute to the 75th anniversary of the 1910 Mexican Revolution, the 400th anniversary of the publication of Cervantes’s Don Quixote, and the 470th anniversary of the founding of the mint itself, as well as a superb series marking the 35th birthday of the World Wildlife Fund and its depictions of the monarch butterfly, the wolf and the “vaquita,” a rare species of porpoise. Goldbroker is very pleased to be able to procure for you gold and silver bullion coins from La Casa de Moneda de Mexico, the Libertad series, which first appeared in 1981 containing 1 ounce, ½ ounce and ¼ ounce of pure gold, and 1 ounce of silver. In 1991, silver coins were added with ½, ¼, 1/10 and 1/20 oz. content, the only coins in the world to have such a wide range of weights. La Casa de Moneda has released a New Libertad series that includes a 1 kg. silver coin. In contrast to the coinage minted by almost all countries around the world, the Libertad displays no nominal value, its value determined only by its weight. The coins are made of .999 fine silver or fine gold. The Gold Libertad is legal tender in Mexico; the Silver Libertad, however, is not. Whether in gold or in silver, the Libertad coin is one of the most beautiful in the world and one of the highest selling and most collectible due in no small part to its varied and limited mintage each year.